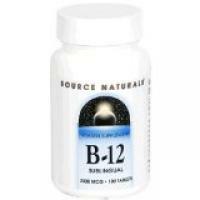 Sublingual B12 is one of the most effective ways to deliver vitamin B12 to your body. Taking this essential nutrient sublingually utilizes an efficient delivery system to benefit your overall health. Sublingual B12 is a vitamin B12 pill specifically manufactured to dissolve under your tongue. Many supplements and medications, including sublingual B12, melatonin and nitroglycerin, are designed to be dissolved under the tongue in this manner. The area under the tongue contains a vast array of capillaries that allow substances to diffuse throughout the body more quickly than traditional oral administration method of swallowing a pill with water. Typically, vitamins taken sublingually are more potent. Sublingual vitamins only come into contact with saliva and enter the bloodstream directly, minimizing metabolic degradation before they reach the rest of your body. Orally administered medications, on the other hand, must go through the digestive process where they also come into contact with stomach acid, bile and other enzymes. Vitamin B12 is one of the B vitamins. It is an essential, water soluble vitamin that plays an important role in many bodily processes including cellular metabolism, DNA regulation and synthesis, and energy production. Sublingual administration of vitamin B12 is a highly effective delivery system for this nutrient. Other effective alternatives to sublingual administration of vitamin B12 are intranasal administration and vitamin B12 injections. Of these three effective forms of B12 administration, sublingual administration is the least invasive and the least costly. Improved memory and concentration - B12 is believed to improve clarity of thought because of the way it acts on the nervous system. In particular, maintaining healthy vitamin B12 levels helps prevent age-associated cognitive decline. More energy - Because of its role in fatty acid metabolism, vitamin B12 provides an energy boost to the body. If you'd like to take sublingual vitamin B12, you have a few options. Your first option is to select a product manufactured and marketed as a sublingual tablet. 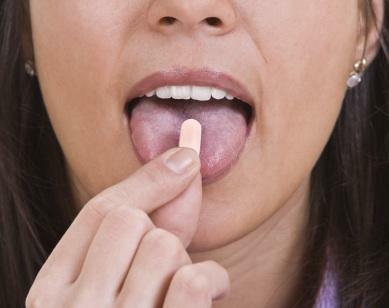 To take a sublingual tablet, place it directly under your tongue and allow it to completely dissolve. You can also use liquid vitamin B12 drops for sublingual administration. If you take the B12 drops, follow the manufacturers dosage instructions and place a few drops directly under your tongue. Allow the drops to absorb rather than swallowing them. Take sublingual B12 on an empty stomach or between meals when your stomach isn't quite so full. There are few known side effects to sublingual vitamin B12. Because it is a water soluble vitamin, overdose and toxicity are unlikely. If you take more vitamin B12 than you require, your body will filter the excess from your bloodstream and excrete it in your urine. It is always a good idea, however, to speak with your personal health care provider before self-prescribing any vitamin or supplement to ensure there aren't any contraindications with your current health picture. Vitamin B12 is measured in micrograms. The recommended dosage varies based upon your nutritional status and dietary needs. When in doubt, follow the manufacturer's instructions or talk with your physician. Twinlab Mega B-12 Dots are 5,000 microgram pills that dissolve and absorb quickly and have a pleasant cherry flavor. Food Science of Vermont Sublingual B-12 tablets are 1000 microgram tablets and are available at most drug stores. If you think you may need more vitamin B12 or you are simply looking for an inexpensive way to improve your overall health picture, sublingual vitamin B12 supplementation might be a good option for you.